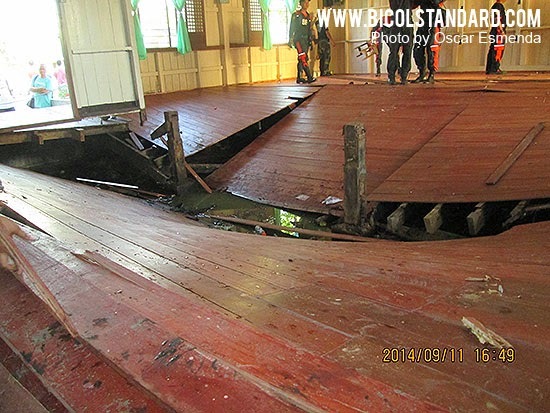 NAGA CITY--Ten persons, including 5 pupils, were injured at 4 o'clock this afternoon when the floor of the old library building at Sta. 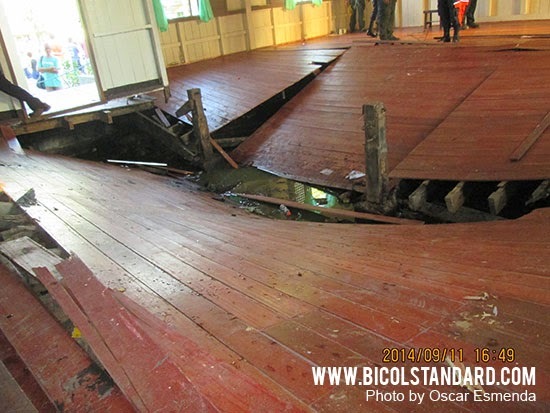 Cruz Elementary School collapsed while a meeting was being held. 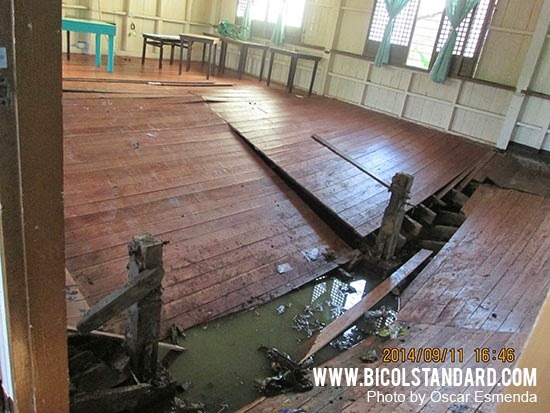 Mrs. Adelina Denido, the new principal of the school, told the BICOL STANDARD, that the Parents-Teachers Association (PTA) was having an acquaintance meeting when the dilapidated floor suddenly gave way. 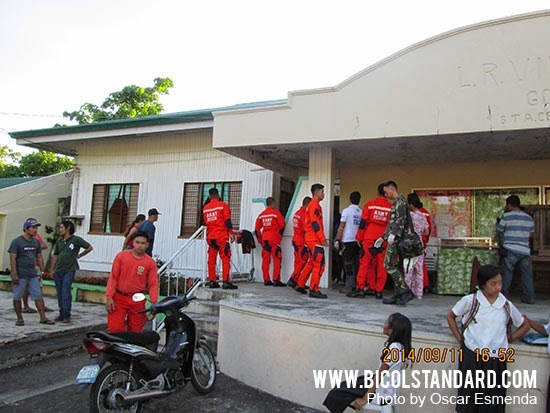 Mrs. Denido personally accompanied the injured pupils and parents to the Bicol Medical Center and the Naga City Hospital for medical attention. This building is also commonly used for meetings by school officials, as well as the PTA. At press time, it was confirmed that no major injury was suffered by the victims of the freak incident.